After signing up for Art Club, you will receive an email. If you cannot locate this email, look in your SPAM FOLDER. If you lose this email in the future, you can recover it here, or go to the Art Club page and recover it there too. Each email comes with a personalized link. Click on the link and remember to memorize the passkey. Save this email, you will need this same link to retrieve all your Art Club lessons. The link opens your personalized list of lessons. Click on the folder to open it. It can take a few seconds to open the entire list, depending on how long it is. Your personalized list is in ALPHABETICAL ORDER. This means that a new lesson may be down on the list. Choose the one you want to view and tap or click on the Download link. You will be taken to a colorful gateway page. Enter the passkey that was sent to you in the original email. The protected page shows the video in high resolution. You can watch it on a computer or ipad (when connected to Wifi). This video is super large, it is not recommended watching on mobile phones. Right underneath the high quality video you will find a link. This can be used to download a lower resolution video -- still good quality -- to your computer. Do not try to download the high resolution video, it is extremely large. This link will NOT WORK to download videos on Ipad, tablets or mobile phone, it will just play the video again. The download must be done on a computer. I STRONGLY recommend downloading the lower resolution video on to your computer. If your Art Club account is cancelled or deactivated for whatever reason, THIS IS YOUR VIDEO LESSON to keep, since you may not have access to the protected page. 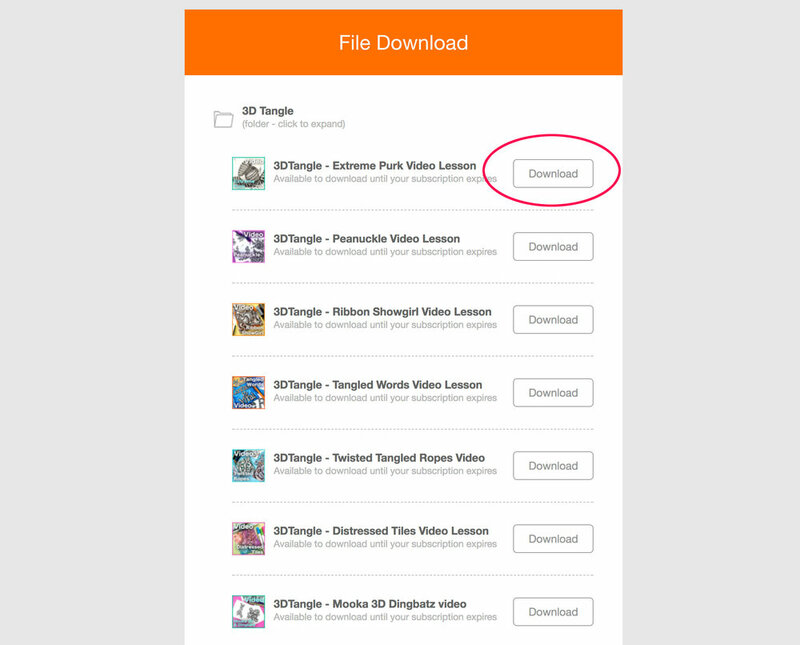 Remember to backup your Video Lesson Library! Backup on a computer and flash drive. TREAT YOUR LIBRARY WITH the same respect you would treat your books or DVD videos. While many online schools promise "life-long acess", you never know when an account or website will be discontinued or cancelled. BACKUP your files! Many video lessons come with printable images for you to add to your binder. These help to remind you of important concepts in the video. Click, download and print your bonus images! And please do not share them, they are part of your video lesson product. If you every run into trouble, just contact me here!